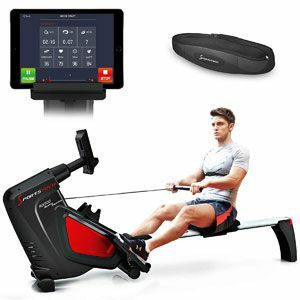 Does The Sportstech RSX500 Rowing Machine Offer A High-End Experience? 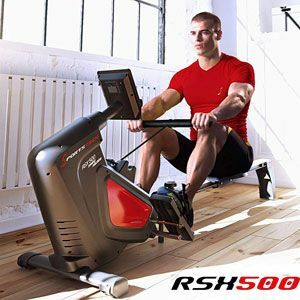 The Sportstech RSX500 Rowing Machine immediately stands out as a machine with a lot of potential for experienced users. 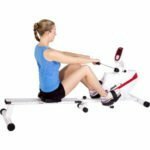 The indoor rower looks to be sturdier and better equipped than any beginner’s model. There is a good length to the rail that suggests that larger users are welcome. The combination of features in the physical and software specifications will also draw many users in. But, does everything combine to offer the experience users are after? The Pros and cons of this Sportstech RSX500 Rowing Machine. 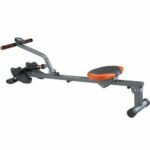 This Sportstech RSX500 Rowing Machine goes beyond other machines to offer comfort and diversity in a workout. Some rowing machines are built for a basic session and building stamina. They don’t always need lots of features and programmes to help users train. This model takes a different approach with a wide range of settings and options to suit different users. There a 12 pre-programmed training modes here to help users shake up their workout. This includes heart rate settings – thanks to the included pulse belt – and some competition settings. It seems that rowers are then able to work on their efficiency and form. The console helps here too, with the different user profiles and the data on the session. Where possible, users can also benefit from the app controls by hooking up a tablet. There is little doubt that this Sportstech rower is built to handle this sort of tough, progressive workout. The 7kg flywheel allows for a smooth motion that is complemented by the 16 resistance settings and the magnetic braking. There are some nice comfort features in the smooth motion of the seat on the rail and the padded rowing cord. Also, once the “race” is over, you can fold the machine up and wheel it into storage on the transport wheels. Complaints about this Sportstech Smart Rowing Machine are few and far between. This system does so much to appeal to lots of different users that most buyers have a great experience. Some may say that the top resistance levels and hardest programmes are too difficult. But, this simply reinforces the idea that there is lots of room for progression. There is the risk of app bugs and connectivity issues – although this is true for any smart product like this. There will always be those that dispute the price tag. Again, there is an argument for value for money here because of the range of features and the quality of the tech. Does all this positivity mean that the Sportstech RSX500 is highly recommendable? 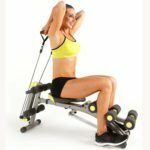 This lack of criticism means that it is easy to recommend this indoor rower to those that have the budget for it. The designers have taken a well-made, portable machine and upgraded it with the build, rail and all the clever software. There are more workout options here than many users will know what to do with. That is why this Sportstech rowing machine is a great product for the right user. Find more reviews about the Sportstech RSX500 Rowing Machine on Amazon here.